For the most part, very few people have heard of the term “parketing.” According to the Urban Dictionary, this is a shady way to get out of future parking tickets by using old tickets to make it look like you already got a citation. Others think of flooring when they hear of “parketing.” Now that we have given you these definitions, forget them! Today, we are using “parketing” to refer to marketing while parking your vehicle in a busy area. You turn your work truck into a mobile billboard when you install vinyl vehicle graphics in Burbank, CA. In addition, you can get your graphics to work for you around the clock if you know what you are doing. To make sure your target audience regularly sees your advertising message, it is crucial that you park in an easy to see area that they pass each day. 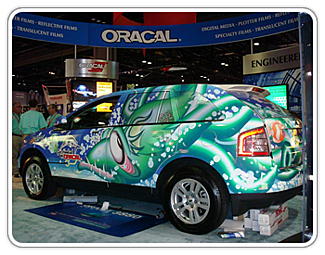 Learn more about how vehicle graphics can boost your sales below. It is only natural for business owners in an area to form friendships. If you are friendly with entrepreneurs in the area who have venues in high traffic areas, you should consider making a deal with them to park your wrapped work truck in front of their venue. When you do this, consumers will see your message as they stop by a favorite lunch spot, gas station, or other organization. Lease agreements typically feature rules about what you can and cannot use for signage. But, one clever way to work around these terms is to have a large billboard on wheels. This is especially important when your facility does not have a monument sign to brand to clients and display your whereabouts. By strategically parking in a location that is not blocked by other cars and is easy to see from the street, you will make a great first impression for your enterprise. One great spot is right by the entrance to your parking lot. When you do this, consumers will be more likely to know who and where you are when they are in need of your services or goods. You can market your business 24 hours a day, seven days a week for up to six years without any additional costs when you get vehicle graphics in Burbank, CA. You would have to keep spending hundreds to thousands of dollars each month to get that sort of exposure with traditional media advertisements. If you usually park your business vehicles in dark garages or remote lots, you are missing an important chance to build your brand. You essentially have nothing to lose by doing this, since the worst that can happen is that you get more leads. And, who doesn’t want those? 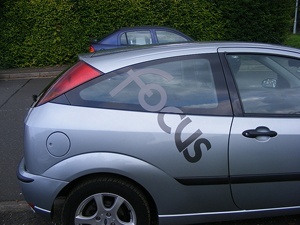 Other than the initial investment of the wrap, you can generate these leads without any extra expenses. To put this into perspective, you can wrap your fleet for less than it would cost to pay a part time employee minimum wage. Interested in using your parked truck, van, or car to market your company? Contact The Sign Studio today! 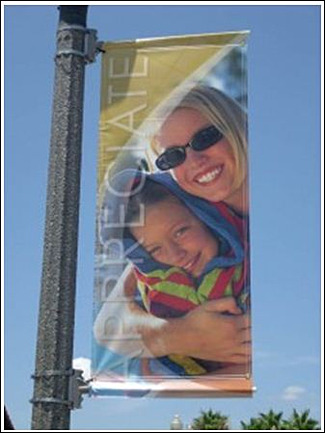 When it comes to banners for Burbank, CA, The Sign Studio is your top supplier. In addition to handling the customization of the banners, we also provide you with the right stands for the job. There are a variety of questions we commonly get from businesses considering banners. Here are some of them. What can banners be used for? Banners can be used for a seemingly endless variety of purposes, such as promoting a seasonal special, announcing your grand opening, or for trade show booths. Keep in mind that the banner material can be imprinted horizontally or vertically. This gives you even more options for specialized uses for these signs. This high level of flexibility will succeed in attracting attendees at trade shows to check out your exhibit. What are the material alternatives? Top quality vinyl is our preferred material. We feel comfortable standing behind this product because vinyl is heavy duty and looks great. If you want to use your banner over and over again for many years to come, vinyl is able to offer the rugged durability to achieve this purpose. Please let us know if you need storage suggestions or tips for increasing the longevity of your markers. 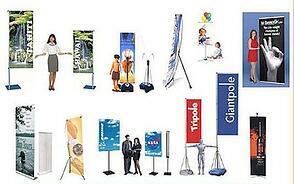 We have retractable banner stands that feature a roll-up storage cassette that helps with storage. We supply banner stands for Burbank, CA volunteer organizations, businesses, faith communities, service providers, and office managers. The advertising tools are effective for every sort of nonprofit organization and company. Their versatility has made them a favorite for all kinds of groups, since these signs can carry marketing messages and other information. Are banners a good temporary signage solution? Yes, they are! 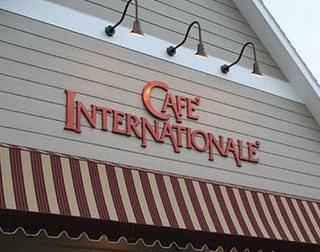 We often provide banners featuring a business’s name and logo as a temporary marker while we are working on their more permanent channel letter sign. Well in advance of a grand opening sign, we offer “coming soon” banners that create a buzz and general interest for shops opening for the first time. When you order a sign from us, we have knowledgeable and gifted graphic designers to help with the artwork. If you have your own artwork or prefer to have a third-party graphic artist do the job, we have no problem incorporating it into the new banner. If you have no clue about what you want, we can help with a marketing message, pleasing layout, and formation of graphics. What are some popular designs? We frequently get requests for advertising banners. Retailers like to shake things up every so often with their seasonal sales. It is pretty common for these signs to announce certain percent off sales, showcase seasonal merchandise, and advertise deep discounts. Each banner is custom print. Upon your request, we use your business’s logo, colors, and name. You can choose the overall layout and marketing message to appear on the finished product. Do you have any more questions? Or, are you ready to get started? Either way, feel free to contact our friendly experts today for a free consultation! Congratulations! You have outgrown your modest accommodations in your basement, garage, or spare bedroom and are ready to launch your enterprise in its own office or storefront. Before you can open your doors to the public, though, you need to figure out what new business signs in Los Angeles, CA you will need. We have had plenty of entrepreneurs work with us to prepare their new companies and get a buzz going ahead of their grand opening. Here are some of the signage solutions you should consider. As soon as you finish that celebratory flute of champagne after signing your lease agreement, you should be thinking about banners to announce your new location. “Coming Soon” banners featuring your company’s logo are an excellent choice. 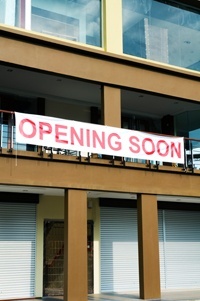 Once you have a concrete “go live” date, let your potential customers know with “Grand Opening” banners. These markers are meant to grab the attention of pedestrians and drivers. They are a combination of wayfinding tool and branding trickery. Your exterior markers should be consistent with the logo and font used for your other marketing materials, such as business cards and letterhead. Does your new endeavor not have a logo yet? No problem! Our talented graphic designers can help you with this. We can get you started with typeface and design alternatives that evoke your business’s attitude, product selection, and niche. For building sign materials, pick from channel lettering, lightbox cabinets, or foam or acrylic dimensional letters. Set the tone for the interaction between your representatives and clients with lobby signs. Do you want the look of your reception area to be avant-garde, formal, quirky, or sophisticated? 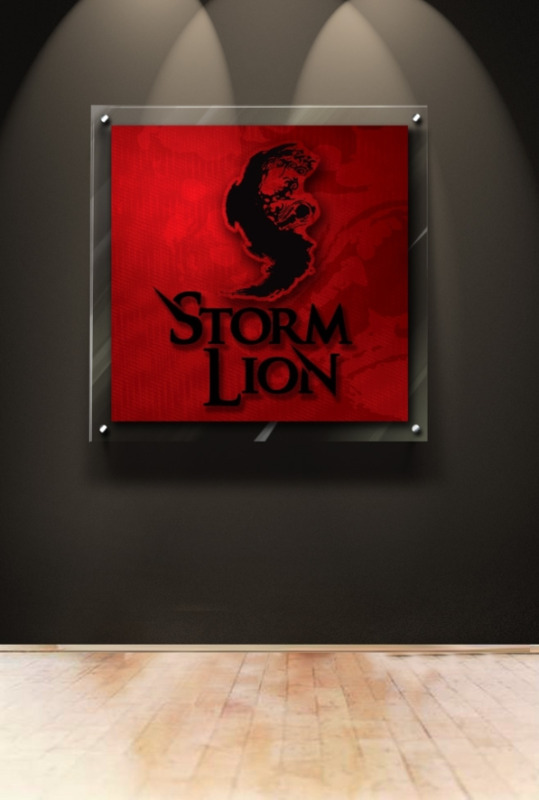 Your reception area sign will greatly influence the design elements that make up your lobby. Popular materials include foam, acrylic logo panels, and metal laminate lettering. If you are welcoming customers into your office or storefront, you must have wayfinding markers to help your guests find their way around your facility. For instance, you will want to point the way to meeting rooms, fire exits, and restrooms. In addition, most public buildings are required by law to have ADA signs for Los Angeles, CA. Fortunately, we can perform a site survey and help you figure out what ADA signs you need to be in compliance. Marketing signs are ideal for getting people to come in and check out what you have to offer and for increasing interest in your enterprise. Though they are not strictly necessary, they can have a huge impact on your bottom line, once you already have your exterior and interior markers in place. These signs include flags, A-frame sidewalk signs, banners, and posters. Does all of this seem a little confusing? You are not alone. 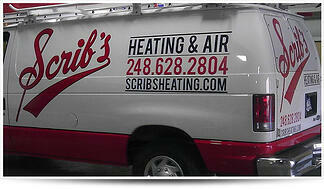 Fortunately, the friendly experts at The Sign Studio are just a phone call away. We have the heart of a teacher and will make sure you understand your options. If you are ready to learn more, contact us today for a free no-strings-attached consultation. The very first impression that prospective clients who are unfamiliar with your enterprise get as they travel down the road comes from your exterior signage. This can literally be the difference between death and success for your company. Leading up to that moment, they do not know what your business can do for them. How you choose to design your exterior signs for Glendale, CA will either cause these consumers to gloss over your organization without a second thought or reel them in to learn more. For many specialized businesses, shoppers may not need your products or services right now, but if you have a memorable sign, they will think of you when they do need your specific specialty. This will help them call on you or look you up online when they need your help. Do we have you convinced? 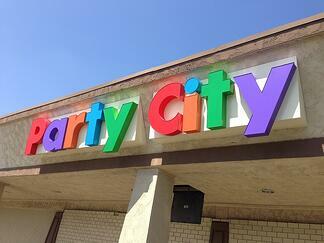 If so, read on to learn some exterior signage tips for Glendale, CA. To ensure that specific parts of your signage stick out easily, such as your business’s name, high contrast colors should be included into the design. A bright yellow on top of a deep purple works just as well as black letters on a white background. Though colors are helpful for getting noticed, you do not necessarily need an entire rainbow. Just a good juxtaposition. We recommend a contrast of at least 70 percent. Please stay here. You do not actually have to go home, but we do suggest you go big with your signage. When you are driving down the street, you are unlikely to read signs with tiny typefaces. To make it simple for people of all abilities to decipher your markers use larger fonts and letters. We can make specific recommendations for your enterprise when we perform a site survey. You want your target demographics to be able to recognize your business with just a glance at your exterior signage. This means keeping the color scheme, font, and logo shape consistent across your marketing materials, including business cards, your website, television ads, and anything else that represents your organization. You will confuse shoppers if you make your sign vastly different from, say, your website. People will not know if they have found the right place. Your exterior sign does not need to feature your entire mission statement. Even including a short slogan or motto could distract from the vital information you want potential clients to see: your name. Instead, let your graphics do the talking for you and allow your name to take center stage. Do you want help incorporating all of these tips into a winning sign that will attract new clients? The Sign Studio can help! We will listen to your vision and perform a site survey during a free initial consultation. Based on this, we will come up with recommendations that fit your goals and budget. Are you ready to get started? Contact us today! 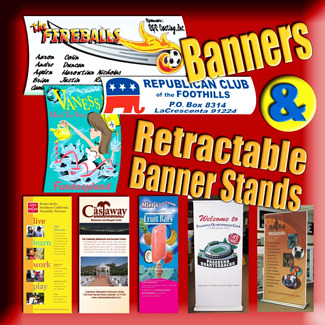 To catch the eyes of prospective customers and showcase what your business has to offer, you will need outstanding discount trade show banners for Los Angeles as you market at conventions and other events in this season. The quality of your exhibit will determine how well your enterprise does at a trade show. Thankfully, The Sign Studio is here to help you look your best! The Exhibitors’ Handbook is the source for all of our trade show offerings. That being the case, we have a wide selection of products that work well for trade shows, conventions, and anywhere else you need to get attention. For today’s blog post, we will take a closer look at affordable Spring Back and Telescopic banners. Economical Spring Back banner stands combine functionality, reliability, and basic design features. With these banners, there is a 90 day hardware warranty, and it comes with a basic carrying bag for easy portability. 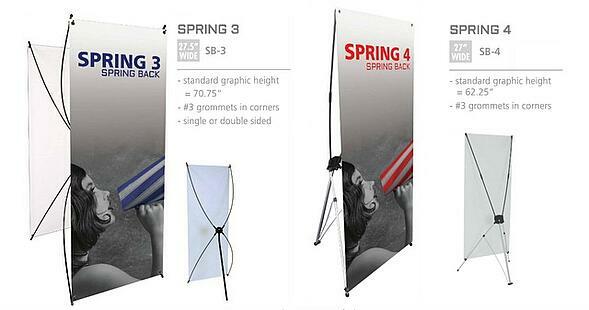 The Spring Back banner stands can accommodate graphics up to 78 inches high and 35 inches wide. They are simple for one person to set up on their own. Once you choose from the many cost effective banner stands we offer, we will design a banner that highlights your brand, product, or services and that is ideal for your purposes, whether you attend trade shows on a weekly basis or just need something for a one-time event. Uno – These stands accommodate graphics between 64.5” and 88.5” tall. The powder coated black base is weighted. And, the Uno has a new graphic rail that accepts both push fit fabric graphics and standard vinyl graphics. The Uno comes in widths of 31.5”, 35.5”, and 48”. Trio – The Trio is 31.5 inches wide and can be adjusted to be 28.75” to 84” tall. It has a tri-pod banner stand and works great for single and double sided graphics. These are available with three pockets that can be used for dispensing literature. Pegasus – The Pegasus line has adjustable heights and widths and comes in silver and black. The Pegasus Supreme will help you really make an impression with its adjustable width of 63.5” to 117.5” and height of 82.75” to 120.5”. You can link multiple units for an even larger display. All of the above options are great solutions for businesses that are working with a tight budget yet still want to make a huge impact at their next trade show or convention. If you are interested in economic trade show banners for Los Angeles, contact us today for a free, no strong attached consultation and quote.